Welcome to the Lucky Fin Project! We Have Partnered With The Mighty! We’re thrilled to announce a new partnership that will bring Lucky Fin Project’s community and resources in front of The Mighty‘s wide-reaching readership. LFP will also now have a growing home page on The Mighty where people can get involved. The Mighty is a story-based health community focused on improving the lives of people facing disease, disorder and disability. 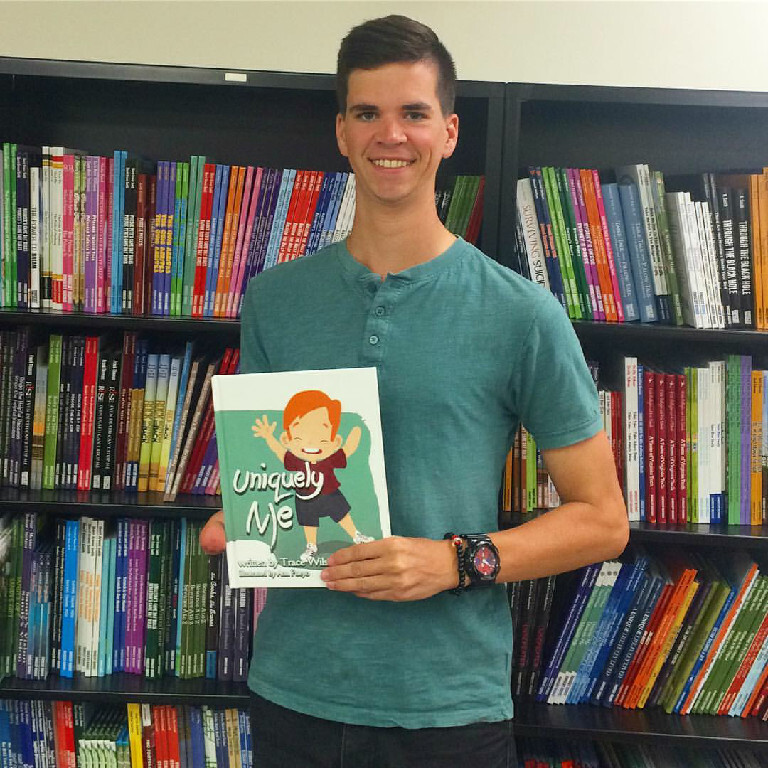 The Mighty publishes real stories about real people facing real challenges. Creating broad mainstream awareness of our community is one of the most powerful ways to effect change. We believe that partnering with The Mighty and interacting regularly with their wide readership will enable us to spread the word about our families and the limb different community — and in turn help even more people. The Mighty wants to hear from you. We encourage you to submit a story to The Mighty and make your voice heard. Shout Outs & Famous Faces for the LFP! Alexis Hillyard was born without her left hand and she loves this unique feature about herself. Her YouTube series “Stump Kitchen” celebrates body diversity, gluten free vegan cooking, and the amazing, unique ways we move through the world. Alexis is also the LFP’s first Canadian ambassador! 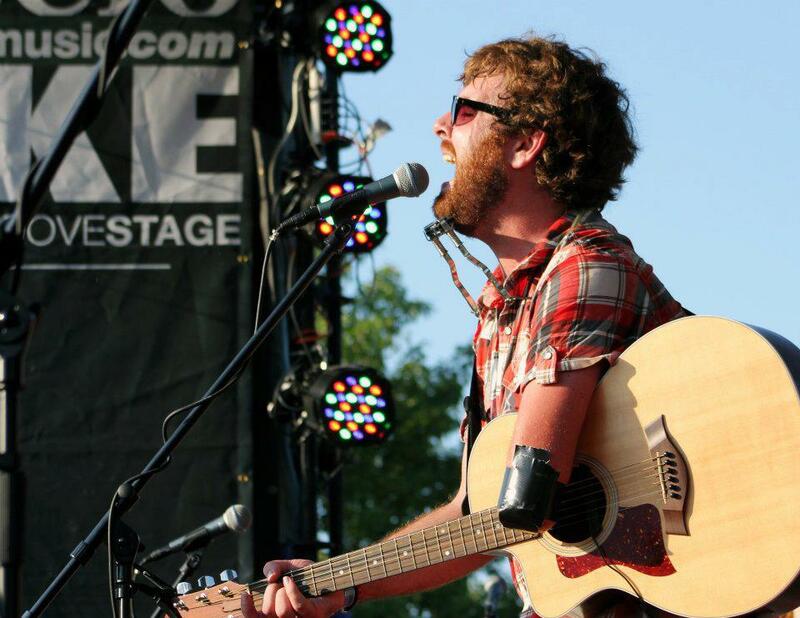 As a touring musician, my work as an LFP ambassador has taken me all over the country and I’ve had the privilege to meet a great many families. It has been a keystone of my mission to emphasize A-bility over Dis-ability, and to show children (as well as adults) that all things are possible if you set your mind to them and don’t give up. I am very excited to serve the LFP by providing them with a theme song! Click on the Lucky Fin Song poster below to listen, download and purchase the song! Watch Tony Memmel’s LUCKY FIN SONG video here!! 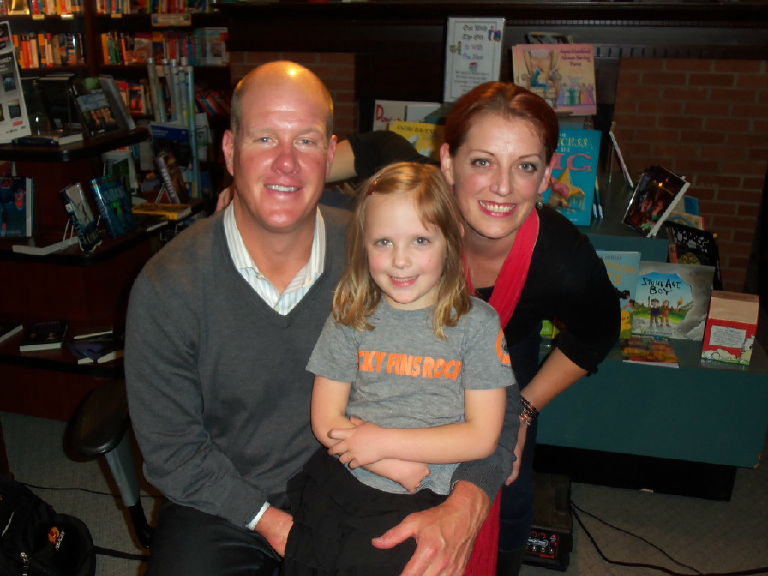 Check out this interview Tony Memmel did on NBC’s “The Morning Blend.” Tony & his wife Lesleigh both sported their Lucky Fin bracelets and even talked a little about the Lucky Fin Project! 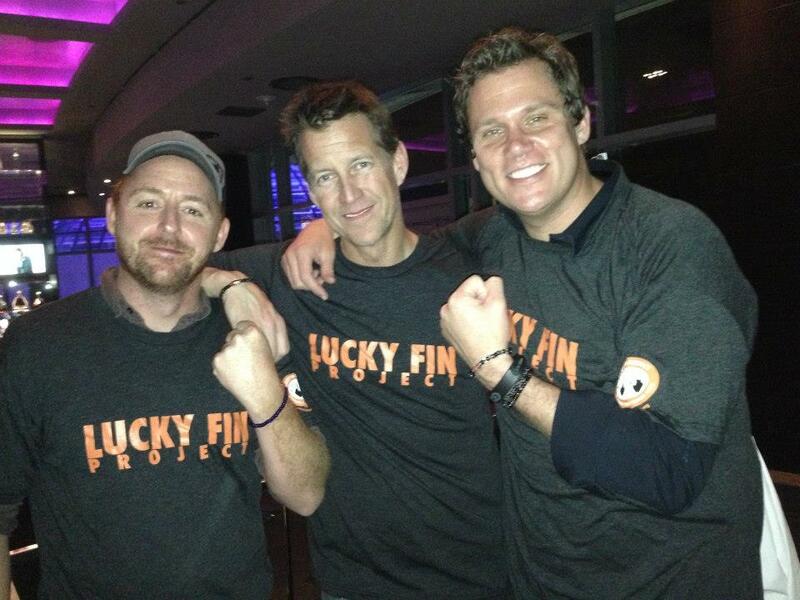 Bob Guiney gives Lucky Fin Project a shout out on GSN Live!!! Founder Molly Stapelman talks about the Lucky Fin Project that helps celebrate & support kids with Symbrachydactyly and limb anomalies (Via Cambio Cares). 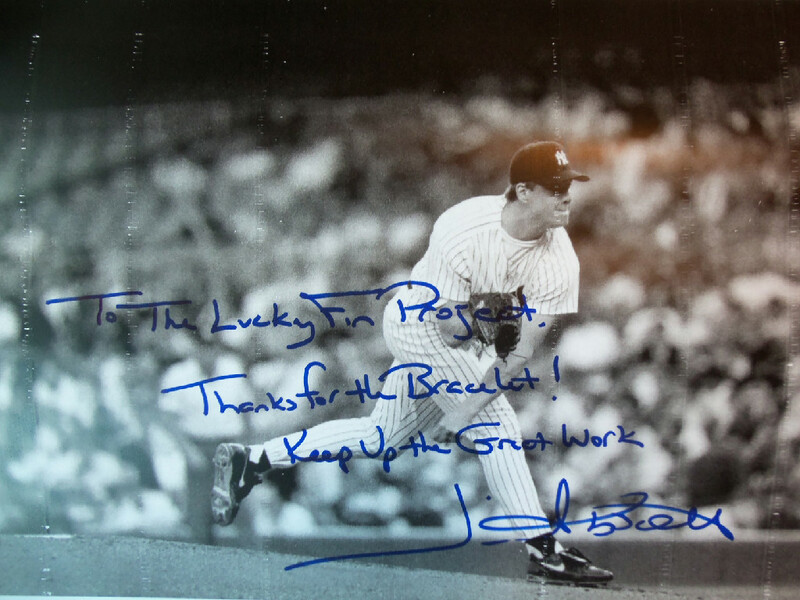 Jim Abbott is a former Major League Baseball pitcher, who played despite having been born without a right hand. He played for the California Angels, the New York Yankees, the Chicago White Sox, and the Milwaukee Brewers, from 1989 to 1999. 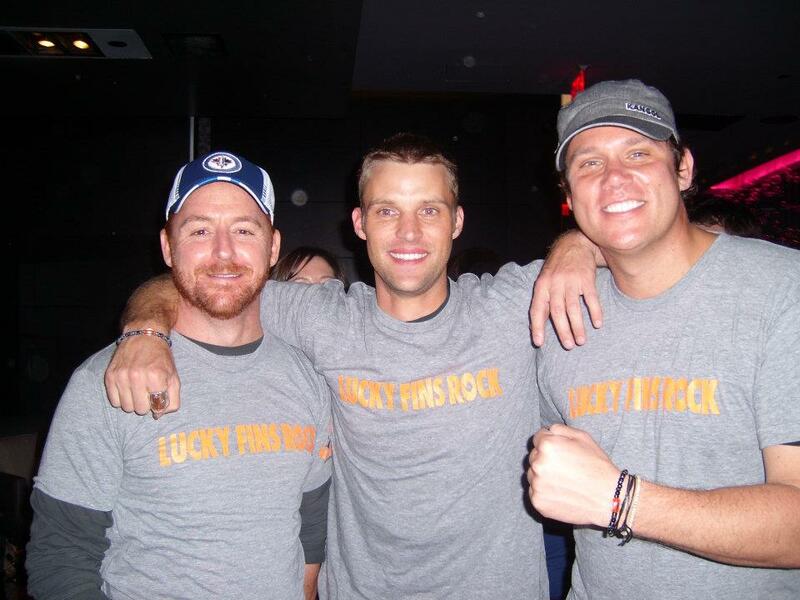 Band From TV members Scott Grimes (ER/American Dad), Jesse Spencer (House/Chicago Fire) and Bob Guiney (HGTV- Host, GSN, ABC, TLC) show a little Lucky Fin love. More Band From TV LFP love from Scott Grimes (ER/American Dad), James Denton (Desperate Housewives) and Bob Guiney (HGTV- Host, GSN, ABC, TLC). Lucky Fin Project in the NEWS! MMA fighter “Notorious” Nick Newell talks about disability, a fighting mindset, and the importance of focus. One Little Fin Blog Spot, November 29, 2011: Make it a Lucky Fin Christmas! Relaxed Mama Blog, May 16, 2012: What is Perfection?